Intentionally one of the worst kept secrets in online gaming, Secret Slots is one of the newest additions to the scene. Focusing on a large variety of games, and an innovative and unique theme, Secret Slots has made quite the impact since its arrival. Already receiving a Best Newcomer award, the site offers secret hints, tips and information to players from industry experts. 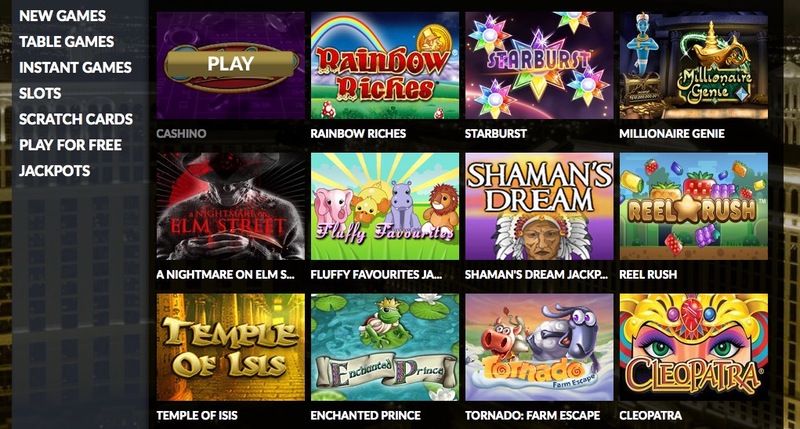 Secret Slots also boasts an array of free slots, giving everyone from the newbie to the old school gamer the chance to try something new without risk. Aside from the gaming options, Secret Slots also offers an impressive amount of promotions and bonuses to players, as well as a comprehensive Rewards scheme. However the site will keep offering you bonuses after you sign up. The Weekend Reload bonus gives 50% match bonus on money deposited between noon on Friday and midnight on Saturday, every single week. Mondays sees a Win Boost promotion, any winnings you take away on a Monday will have an extra 10% added to it. So if you win £200 on the slots on Monday, you’ll receive an extra £20 on top of your winnings. All you need to do is deposit a minimum of £10 during Monday to qualify. Like Secret Slots enough to recommend it to a friend? Well there’s a bonus if you do. 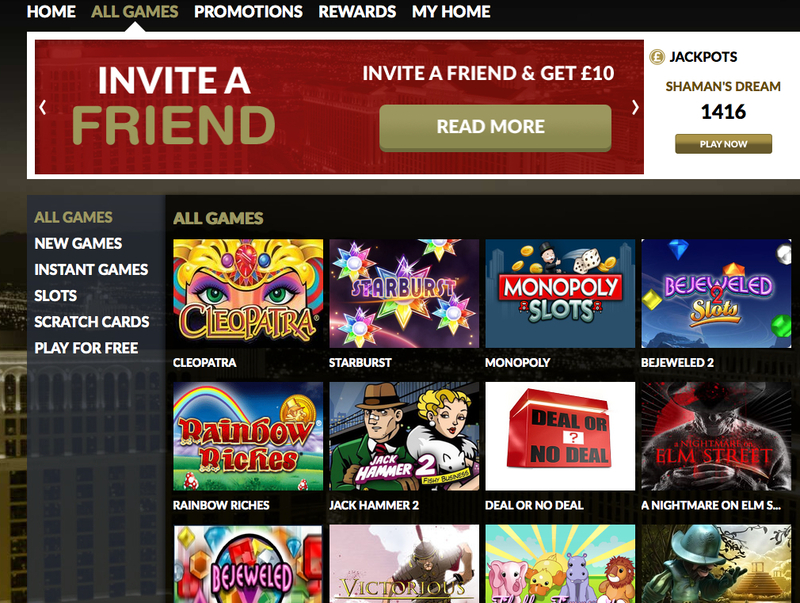 If you refer a friend and they make a deposit with Secret Slots, you get £10 cashback as a thank you. As with many sites, you are a member as soon as you sign up with Secret Slots and you immediately start making your way up the Reward Program ladder. You start at the one star Public stage, move up to two star Classified status and then three star Confidential status. Your first £999 deposited offers you the Win Boost promotion and Weekend Reloads on up to £25 of your deposited money. From £1,000 to £4,999 lands you at Classified status, offering you the Win Bonus and Weekend Reloads on anything up to £50. From £5,000 to £9,999 and your Win Bonus is joined by Weekend Reloads on up to £75 deposited as a Confidential member. On top of that, you will enjoy 3% Cashback. As you would expect, the climb doesn’t stop at three stars, there are a four five star positions, Secret and Top Secret respectively. These positions are so exclusive that they are by invitation only and you will not be told what is on offer until you are invited. New games are constantly being added, current newbies include Ooh Aah Dracula, Spartacus, and Lancelot. The huge variety of slots available is impressive. The games available at Secrets Slots offer everything a slot player could ever need. Scratch Cards and low and high stake Table Games are also available in abundance for those who prefer Poker or Blackjack over Slots. Secret Slots is the most beneficial to frequent players, the high deposit limits on the Reward Scheme are evidence of this. But all players are catered for, the large amount of free to play slots ensure that everyone can find something. Also very accessible to mobile and tablet users, Secret Slots genuinely seems to have thought of everything. It is no surprise that Secret Slots has made an impression since its arrival.